i also love to check out cute cafes and shops. they don't have just tasty foods, but have more. I went to Hitachi Seaside Park to see Baby Blue eyes today. Anyway, I stopped by at Ueno station on my way, and found cute foods! Ueno has Ueno Zoo, which is famous for its Panda. First, I found a donut, a cute little panda in it, for breakfast! For lunch, I got Panda bento! There is panda-shaped seaweed on rice! And...for dinner, I had Panda curry! The cafe is located in front of Ueno station. They have not only Panda curry, but many panda food menu! 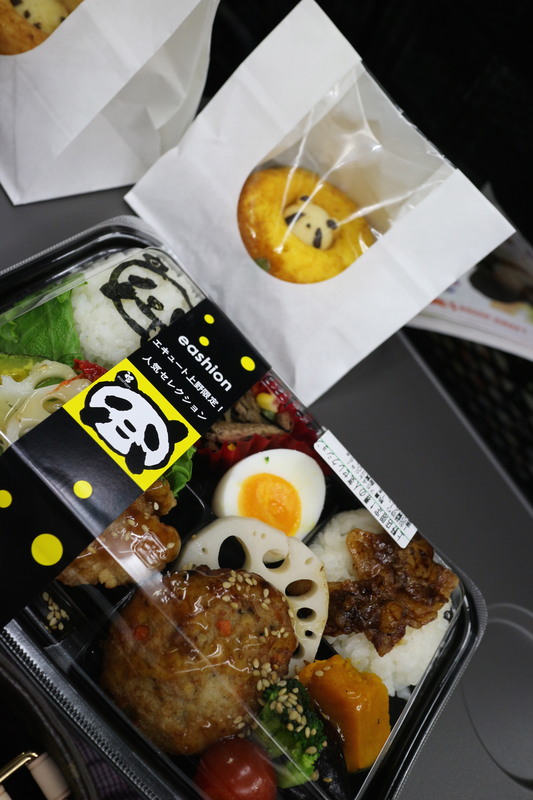 It seems that you can easily find many cute panda foods in Ueno. Copyright © yuz's CHARABEN album. All Rights Reserved.